The death of a pet can be very unsettling for preschoolers. They may immediately cry at finding out about the death or they may have no reaction at all. It will depend on their age, developmental stage and exposure to death at this point in their lives. They see and hear about death through television or hearing others talk about it, however, many times, the death of a pet is a child’s first encounter with death. Preschool aged children do not typically understand that death is forever. They may think that the pet is sleeping or has run away or is just at the vet’s office and will return. The wording is very important. Many times, parents will say that the pet “has gone away” or “went to sleep and did not wake up”. This causes unrest and anxiety in many children. They may develop separation anxieties when they are dropped off at school or at a family member’s home. Children may worry that their parent or caregiver might go away and not come back. Children do see death as temporary at this age and therefore may see death as “separation” rather than permanent. They may develop sleeping problems themselves fearing that maybe THEY will fall asleep and never wake up. Older preschoolers may think that their own behavior or action caused the death (I didn’t play with him this morning, I yelled at him for chewing my toy, I forgot to feed her today, etc.). It is important that the child be reassured that they were not the cause of the death. 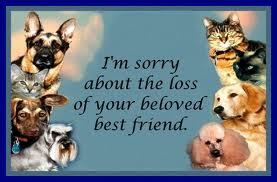 A child might respond to the death of a pet by crying, asking questions or with no apparent reaction at all. As the days go by after the death of the pet, they may begin asking questions or talking about the pet more. They may say things like “I hear a dog barking, Rover is home!” It will be important to remind them that Rover has died and will not be coming home. Many children ask if their pet went to heaven or parents will tell their children that the pet is in heaven. This is purely a personal choice based on the family’s religious beliefs. But again, it is important for children to realize that going to heaven is permanent, too. The pet will not be returning. 1. Tell the preschooler that the pet died (use the word died—not went away or is gone or went to sleep) and will not be coming back. At this age, they do not need long, drawn out discussions. Give them a simple, brief explanation based on their age, remembering that their attention spans are not that long. Too much information can confuse them or will be so much that they tune out and do not understand what you are saying. 2. Tell the child why the pet died, but briefly. “He was very ill or very old.” There is no need to try to guess what the child is asking you. If they ask “Was she sick?” that is what they need to know right now. Answering simply “Yes, she was very sick.” is enough for now. 3. Assure the child that they did not cause the death. 4. Let the child talk about the pet or death of the pet in their time. 5. Help the child remember their pet by drawing a picture of them together and hanging it up or hanging a picture of the pet. 6. The child may or may not talk about the pet or death of the pet for some time. 7. Some behavior changes might be seen in response to the loss of a pet such as changes in mood, toileting habits, play habits and sleep disturbances. 8. There are many books available about this subject. Following this article is a list of books that were recommended to me by other teachers in the field. It is important that you or the parent read them first before reading any of them to the child to be sure that the book is appropriate for that individual child and is in agreement with the family’s beliefs about death. 9. Ask parents to keep you updated on how the child is reacting to the death so that you, with the parents, can work as a team and help this child through this in a consistent manner. 10. Contact your local Hospice center for advice and resources. 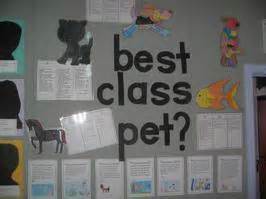 They are very helpful and informative about helping children deal with death of a pet or of a person.